Can the pioneer of innovative cuisine once again shake up the Hong Kong dining scene? 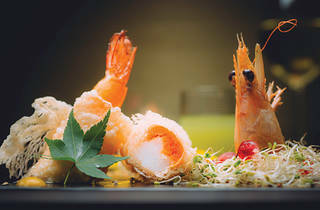 Veteran chef Andy Chan brings a decade of experience and his unique brand of Chinese fusion – honed at Club Qing – to Eighteen Sharp, situated inside the Franck Muller building in Causeway Bay. The restaurant features a modern interior, with a prominent and striking bar worthy of a scene in a James Bond movie. Eighteen Sharp is a set-menu-only establishment, where choices must be made before arrival – though unlike Club Qing’s private dining room, you don’t need to bring a full-table of guests. Prices range from $680 to $1,888, and we opt for the $880 set, to see how the mid-range fares. The starting platter is a mixed bag of surprises. Chef Chan seems to have perfected his signature lychee and tomato amuse-bouche, with lychee juices infused into a small Dutch tomato. We also love the seared scallop in winter melon purée, the saltiness of the ham and the smooth purée extending the ocean brininess of the scallop. Other items on the platter, like the salmon and avocado, pork roll and soft boiled silkie chicken egg – though delicious – aren’t anything to write home about. We again see echoes of chef Chan’s previous triumphs in the deep-fried, rose-flavoured bird’s nest, served with a blood orange and ginger cocktail. Fried to an almost fluffy consistency, the cocktail pairing is refreshing, bringing the rosy flavours to the forefront. 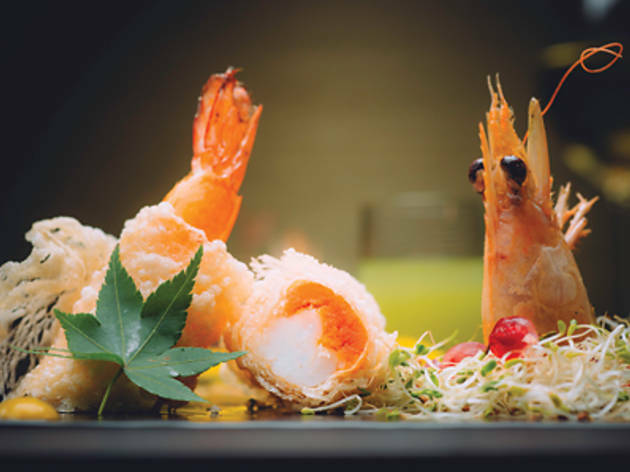 We’re also impressed with the next course of baked prawn with a kaffir lime garnish, creating a fresh aroma that pairs well with a honey mustard sauce. What really wows us, though, is the dessert, which includes a fuchsia dragon fruit topped with osmanthus jelly and lemon zest. The zest cuts away the slight bitterness often noticeable with flower flavours – we feel we’re appreciating osmanthus in a new light. Though we anticipate the menu at Eighteen Sharp to change seasonally, it feels like chef Chan has yet to completely break from his former style and offer something truly special. Dining that is more stirred, not shaken perhaps?